The government on Friday approved the commercial planting of genetically engineered apples that are resistant to turning brown when sliced or bruised. The developer, Okanagan Specialty Fruits, says it believes the nonbrowning feature will be popular with both consumers and food service companies because it will make sliced apples more appealing. The feature could also reduce the number of apples discarded because of bruising. But many executives in the apple industry say they worry that the biotech apples, while safe to eat, will face opposition from some consumers, possibly tainting the wholesome image of the fruit that reputedly “keeps the doctor away.” They are also concerned that it could hurt exports of apples to countries that do not like genetically modified foods. “In the marketplace we participate in, there doesn’t seem to be room for genetically modified apples now,” said John Rice, co-owner of Rice Fruit Company in Gardners, Pa., which bills itself as the largest apple packer in the East. The Department of Agriculture, which approved the apples for commercial planting, said on Friday that it had considered these issues. 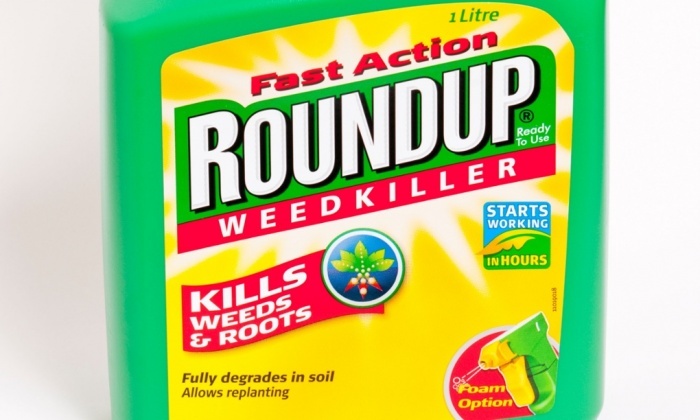 However, it said that under the law, approval is based on whether a genetically modified crop poses a threat to other plants. The department determined that the apples posed no such risk. 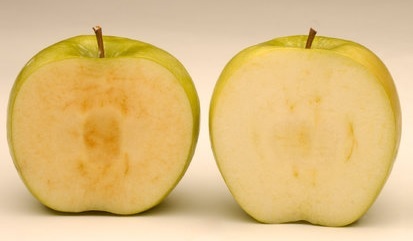 The so-called Arctic apples — which will be available in the Granny Smith and Golden Delicious varieties — are genetically engineered in a way to suppress the production of an enzyme that causes browning when cells in the apple are injured, from slicing, for example. But over time the apples will still rot and turn brown. In November, the Agriculture Department approved a genetically engineered potato developed by the J.R. Simplot Company that uses a similar technique to prevent browning. The apple will join relatively few other examples of genetically modified fresh produce, including papaya and some sweet corn. Most of the genetically modified food Americans eat is processed, containing ingredients made from engineered corn or soybeans.